Martin Bacon (aka “Marty” or “Macon”) is the Kudzu Ramblers International Man of Mystery. Born and raised in Jacksonville, Florida, Marty embarked on a medical career that took him all over the globe, serving presidents, vice-presidents and national dignitaries. Wed tell you more of his exploits, but wed have to kill you. 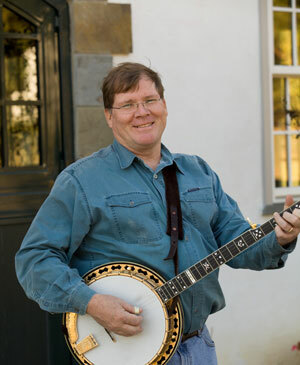 Marty is a prolific collector of bluegrass musician autographs and an a connoisseur of old-time, bluegrass and folk music. With Martys global-trotting exploits behind him (or are they?) he is a well-respected cardiologist with a practice in Fayetteville. He and his wife Cheryl also enjoy their farm in the tiny hamlet of Cameron, where she writes novels and raises American Cream draft horses. When it comes to picking sessions, she is the hostess with the mostest.